HERE IS HOW ENGAGING OUR HEBREW SCHOOL IS! A place where your child does not want to miss a moment. Where they are excited to come each week and leave humming a tune. A place where our wonderful heritage is blended with art, music, and hands-on experiences that bring Judaism to life and leave lasting feelings of love and beonging within your child. A place where the caring, knowledgeable staff eagerly guide your child down the wondrous paths of our rich history and prepare them for their exciting journey into their Jewish future. 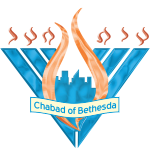 Chabad Bethesda Hebrew School is this place!